"I don't think God is ever done speaking into our lives. Even when we don't want to hear it. Even when our hearts are cold." "A broken heart in real life isn't half as dreadful as it is in books. It's a good deal like a bad tooth, though you won't think THAT a very romantic simile. It takes spells of aching and gives you a sleepless night now and then, but between times it lets you enjoy life and dreams and echoes and peanut candy as if there were nothing the matter with it." "There's a light in a woman's eyes that speaks louder than words." "It is August 1944 and Paris is on the cusp of liberation. As the soldiers of the Third Reich flee the Allied advance, they ravage the country, stealing countless pieces of art. Reichsmarschall Hermann Göring will stop at nothing to claim the most valuable one of all, the Mona Lisa, as a post-war bargaining chip to get him to South America. Can Swiss OSS agents Gabi Mueller and Eric Hofstadler rescue DaVinci's masterpiece before it falls into German hands? Read an excerpt, watch a video and find out more HERE." Chasing Mona Lisa is an intriguing fictional race through a part of WWII history. The various perspectives ("good" guys and "bad" guys) add to the suspense and mystery, and the details and language keep the story interesting for historical-fiction lovers. Goyer and Yorkey really know how to tag-team it! The secondary characters really shine, especially since Gabi and Eric - while enjoyable characters - are a little hard to fall in love with without having read The Swiss Courier. They drive into the story as people whom the reader should already be invested in. That doesn't mean they don't eventually draw the new reader into the action - they just don't seem quite as deep without knowing their background. As for a couple of those secondary characters, France holds their hearts, and thus the outcome of the story has a very big impact on their futures. Chasing Mona Lisa really is a wild ride. Some of the twists and turns seem a bit unbelievable, especially since some of the characters didn't really strike me as having brilliant foresight. But if you enjoy a good, unique WWII story, Chasing Mona Lisa is a fun ticket to the past! 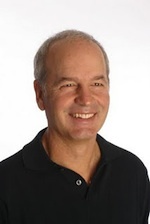 Mike Yorkey is the author or coauthor of dozens of books, including The Swiss Courier and the bestselling Every Man's Battle series. Married to a Swiss native, Yorkey lived in Switzerland for 18 months. He and his family currently reside in California. 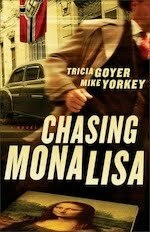 For more about Mike and his other books visit www.mikeyorkey.com"
Win an iTouch SPY Pack in the Chasing Mona Lisa Giveaway from @triciagoyer @mikeyorkey! Chasing Mona Lisa is the continuing tale of Gabi Mueller and Eric Hofstadler (first introduced in The Swiss Courier). This time the due are on a relentless quest to save the most famous painting in the world - the Mona Lisa. You can help Gabi and Eric with your very own spy pack when you enter The Chasing Mona Lisa Giveaway! So grab your copy of Chasing Mona Lisa and join Tricia and Mike on the evening of the 31st for an author chat, spy training (do you know how to pick a lock?) and lots of giveaways. If you're wondering where I've been, I guess you could say I've been learning. For some reason I haven't had as much energy and enthusiasm for blogging lately. School (and all that it entails) has been keeping me busy, and I think I might have a touch of senioritis. Graduation is just around the corner, but there's so much to do and remember in the meantime! It's hard to balance everything. I want to be creative with my school projects and get back to my own writing, as well...and planning blog posts has unfortunately taken a back seat. I have so much to learn - whether it's in the form of book knowledge for my classes, or learning to trust in God in all things, including when I feel uninspired or overwhelmed. All this to say - I'm still here. I'm so grateful for your friendship, and I hope to have some more posts besides book reviews to share with you sometime (although there should still be plenty of those!). We'll see where God leads. "A wise man will hear, and will increase learning; and a man of understanding shall attain unto wise counsels: to understand a proverb, and the interpretation; the words of the wise, and their dark sayings. The fear of the Lord is the beginning of knowledge: but fools despise wisdom and instruction." Hmmm... I haven't posted for a while. So what is a girl to do? Why, look at what's on her desk, of course! This lovely figurine (entitled "Beautiful Belle") was a Christmas gift from my parents. Belle is such a sweet heroine - a bookworm, a dreamer, and fiercely loyal to those whom she loves. The gentle colors, the flowery design, and the flowers themselves (reminders of the Beast and the lessons he had to learn about loving beyond appearances) are gorgeous, are they not? I think Belle would approve of the books, don't you? Hope these pictures bring a bit of beauty to your day! 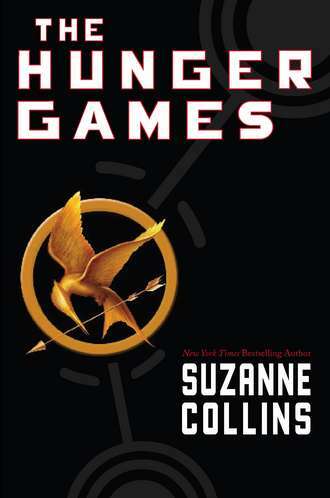 What makes "The Hunger Games" series so intriguing and engrossing? I've connected elements of the trilogy to C.S. Lewis' sermon "The Weight of Glory" for a class paper. I've found the series to be a thought-provoking example for parts of the ethics and war lecture given recently in my American Military History class. I've discussed various plot twists and themes with a friend in my dorm. 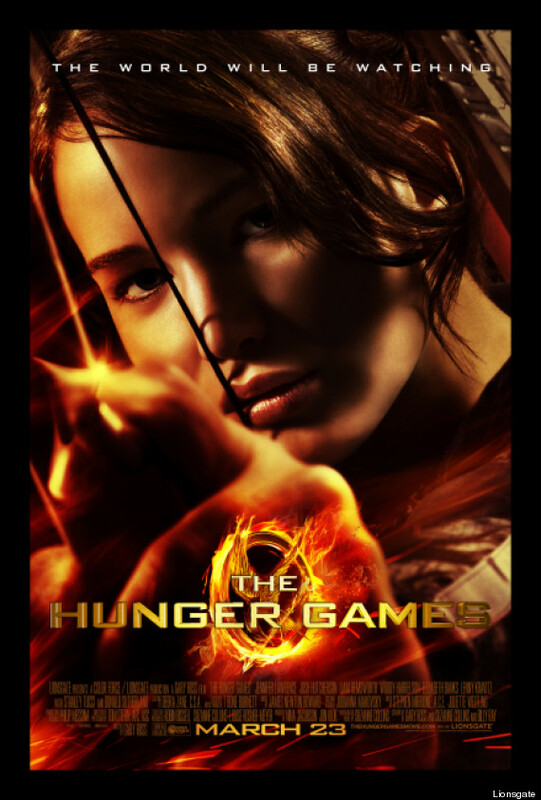 Really, The Hunger Games, Catching Fire, and Mockingjay are on fire with intense action, ideas, and emotions! 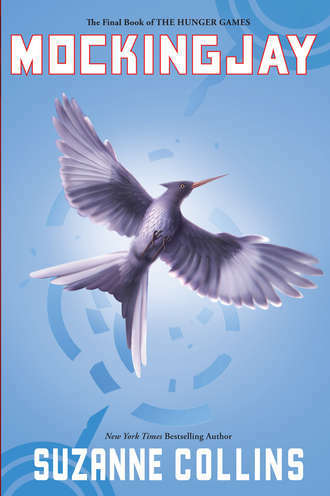 If you missed it before, you can find my thoughts on the first book (The Hunger Games) HERE. The following thoughts are on the series as a whole, and they do include major spoilers. If you're really interested in the series and haven't yet read it, I recommend waiting to read this until after you've done so. But if you have read the books, I'd love to read your thoughts in the comments section! When discussing this series the other day, my friend asked me if I thought it was possible to love a book but not love it at the same time, or something to that effect. When it comes to "The Hunger Games" trilogy, my answer is, "Oh, yeah!" I love it. The non-stop action...the tension...the head-on collision with serious, meaningful questions... It's a well-written story that "works on many levels" (as a certain penguin from Madagascar 2 might say, if you don't mind the movie reference!). Horrific, terrifying, and yet completely captivating - that pretty much sums it up. At the same time, I don't love it. The books are set in a future built on the author's own imagination. Whether all of the assumptions put forth in the book reflect the author's worldview is a call I can't make. But I can tell you that there are indeed assumptions that should be treated with careful reflection by every reader. As far as I could tell, there were no references to religion throughout the series. Some might say that there is no place for religion in the dystopian world of Panem. And I suppose that is the point. Panem seems to have arisen from an evolutionary viewpoint, with the idea that in the future human beings will have moved past their need for "fantastical myths" and "delusions." It is a place where survival of the fittest is very much the order of the day. The silence created by the absence of any mention of any form of life after death or any type of religious beliefs speaks louder than any words on the subject. Certainly, at first glance "The Hunger Games" series seems to promise absolutely no happiness at all. But at the end of Mockingjay, Katniss and Peeta and some of the others attempt to keep the legacies of those who died alive. Peeta tries to hold onto his love for Katniss. Katniss tries to hold onto "every act of goodness [she's] seen someone do." But even Katniss' admission that "there are much worse games to play" doesn't erase the fact that if there is no life after death, all of it is for naught (quotes from Mockingjay, p. 390). "...even if all the happiness they promised could come to man on earth, yet still each generation would lose it by death, including the last generation of all, and the whole story would be nothing, not even a story, for ever and ever." "...as if we could believe that any social or biological development on this planet will delay the senility of the sun or reverse the second law of thermodynamics. Do what they will, then, we remain conscious of a desire which no natural happiness will satisfy." So here's where I come back to loving the series again. The books show the complete and utter dissatisfaction that humans ultimately have with this world as an end in and of itself. We long for more - legacies that will not fade; total freedom that exists in truth; justice and yet mercy; a safe place to call home forever. Remember the song that makes an appearance at Rue's death in The Hunger Games and in the epilogue of Mockingjay? It's a song that speaks of hope, safety, and especially love. "Here is the place where I love you." It's what we ache for, a love that doesn't cease when someone leaves this world. A love that isn't bound by time and location. That love exists. A Love beyond this world. A Love that has overcome the world. A Love that gives joy, which can never be taken away. "The Hunger Games" trilogy has a lot to say about good and evil, war (like militarism vs. just war theory, etc. ), and where the world is headed. But whether or not I agree with everything it says, if it forces me to think critically and examine (and grow) in my faith, then I think it's a powerful story with a lot to offer. In that way The Hunger Games, Catching Fire, and Mockingjay really seem to be the books that were - and are - on fire. "A beautiful blanket of snow may cover the quaint town of Deep Haven each winter, but it can’t quite hide the wreckage of Noelle and Eli Hueston’s marriage. Will their secrets destroy them . . . or has erasing the past given them a chance for a future?" A new season has come to Deep Haven. 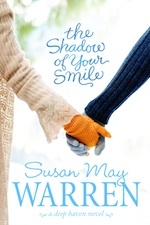 In Warren's previous novel set in Deep Haven, My Foolish Heart, the serious elements of the story were balanced with fun and warmth. But The Shadow of Your Smile is very much a "winter" story, in more ways than one. The atmosphere is colder and darker, and yet the season of prolonged icy feelings and potential danger allows for the contemplation some difficult questions and a budding hope that another season is on its way. Because of the weather and tone differences, Deep Haven looks quite a bit different in this story than in My Foolish Heart. But this allows the book to really stand on its own, exploring the complex and painful lives of a new cast of characters. Hidden secrets and sorrows... Faults and forgiveness... New love and renewed love. The characters experience a lot of hurting, but they also learn that God's healing touch is not as unattainable as it sometimes seems. The Shadow of Your Smile has cold hands but a warm heart, as the saying goes. The characters and situations are sometimes very frustrating to read about, and while Warren's writing is lovely, some of the twists and turns are not always so. But buried underneath the snow is life that is waiting to be found again. 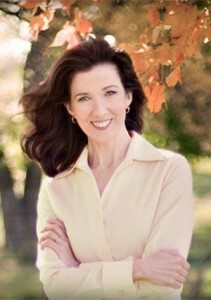 A full listing of her titles, reviews and awards can be found at: www.susanmaywarren.com." Come Back to Deep Haven and Win a $200 Visa Card from @SusanMayWarren! "To every thing there is a season, and a time to every purpose under the heaven..."
"Julia Lapp has planned on marrying Paul Fisher since she was a girl. Now twenty-one, she looks forward to their wedding with giddy anticipation. When Paul tells her he wants to postpone the wedding--again--she knows who is to blame. Perpetual bachelor and spreader of cold feet, Roman Troyer, the Bee Man. Roamin' Roman travels through the Amish communities of Ohio and Pennsylvania with his hives full of bees, renting them out to farmers in need of pollinators. He relishes his nomadic life, which keeps him from thinking about all he has lost. He especially enjoys bringing his bees to Stoney Ridge each year. But with Julia on a mission to punish him for inspiring Paul's cold feet, the Lapp farm is looking decidedly less pleasant. Can Julia secure the future she's always dreamed of? Or does God have something else in mind?" Fisher's writing is a pleasure to read as she effortlessly combines the quirky with the authentic. Her stories are creative but not too far out there to also be familiar and comforting. Stoney Ridge is a great place to visit through Fisher's book. And The Keeper is a great addition to Fisher's Amish novels, with sweet sibling relationships and a honey of a romance! The traveling bee keeper, Roamin' Roman (love his name! ), is an interesting character who speaks about the great freedom of his wandering profession but falls unwittingly in love with the Lapp family in general, their farm, and eventually a particular Lapp sister. The Lapp sisters are great girls who are each unique and each in need of some hard lessons. These characters and more get a chance to share their perspectives throughout the book, and while it seems a bit random at times, the various scenes ultimately come together to show the story of a family and community learning about love and faith in complicated, difficult, and "real" circumstances. The Keeper has a generally gentle pace that travels through some sweet places but also some surprising situations. The emphasis on fondness, family, and forgiveness is very sweet indeed. Sadie's and Mary Kate's stories (especially M.K. 's relationship with Jimmy Fisher!) promise to be great additions to the "Stoney Ridge Seasons" series in the future! "Her interest in the Amish began with her grandfather, W.D. Benedict, who was raised Plain. 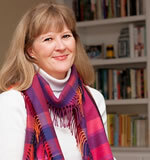 She has many, many Plain relatives living in Franklin County, Pennsylvania, and travels back to Pennsylvania, as well as to Ohio, a couple of times each year for research. Suzanne can be found on-line at: www.suzannewoodsfisher.com." "Addy Davidson is the last girl in the country who wants to be on the new reality TV show to win a date to prom with the President’s son. She’s focused on her schoolwork so she can get a scholarship to an Ivy League college, uncomfortable in the spotlight, never been on a date, and didn’t even audition for it. So she does her best to get eliminated on the very first show… right before she realizes that the President’s son is possibly the most attractive guy she has ever seen in person, surprisingly nice, and seemingly unimpressed by the 99 other girls who are throwing themselves at him. Addy’s totally out of her comfort zone—but that may be right where God can show her the most about who she is . . . and who she was meant to be." Clever and fun, First Date takes elements of the story of Esther and gives them a modern, YA twist. 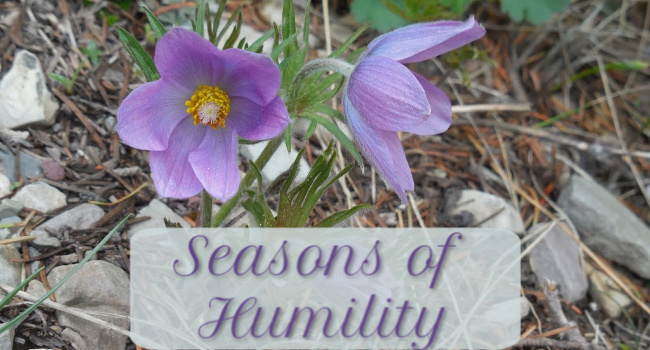 Addy feels she can never live up to the legacy of her missionary parents - nor is she sure that she wants to. When she is thrust into the world of reality T.V., she makes sure everyone knows that she doesn't want to be there. But then new friendships, new opportunities, and the reminders found in her mother's journal help Addy to strive to make a difference in a hectic, dog-eat-dog world that is so very different from the quiet life she enjoys with her Uncle Mike. While the book doesn't come across as entirely believable in its contemporary premise, readers familiar with the book of Esther from the Bible should enjoy making connections between the two stories. The fictional re-telling is creative, and the different competitions and surprises keep the plot interesting. Some parts are a bit hard to swallow, either because they're frustrating (like when the people from the girls' hometowns seem to "worship" the girls, in a way) or they're too "perfect." But Addy's growth throughout the novel, especially as seen in her attitude at the end, is admirable. First Date is a sweet story for girls who are looking forward to prom (or those who remember the anticipation and angst of prom), complete with day-dream-worthy romance and some good lessons to ponder. Wow! There is a lot going on in this book - both moving and disturbing. To help me sort my thoughts on it, I'm not going to keep my "review" spoiler-free. So if you haven't yet read the book but you plan to someday, this is my warning that the following post will give away major plot twists. For those of you who have read the book, I'd love to make this a discussion and hear your thoughts on the book, too! I consider myself a rather sensitive person, so The Hunger Games is a bit out of my normal reading fare with its violence and cruelty and other disturbing elements. The book left me with a foggy feeling and numerous ideas swarming around in my mind, forcing me to take the time to try and dissect all those thoughts. But that isn't necessarily a bad thing! The premise of this book is extremely intriguing, and the writing is very engaging. 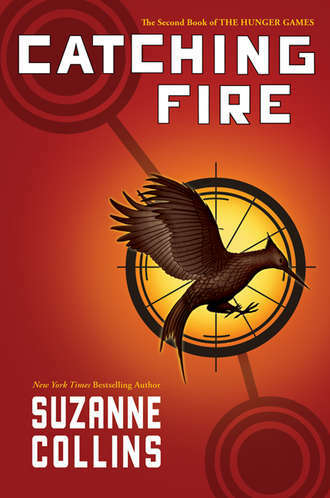 The heroine is excellent for a story told in first-person, as she is loyal to family, strong, spunky, and yet conflicted - basically, she's "the girl who was on fire" in more ways than one. She's on fire for her family and those she loves. She's on fire for survival and freedom. And she's on fire with emotions and uncertainties that threaten to consume her. And speaking of "the girl who was on fire," those costume and setting descriptions are fabulous! They sparkle and paint a terrifying and yet irresistible word picture. There is a great balance between the recognizable and the futuristic, especially in the arena. From the tracker jackers to the mockingjays, and from the cameras everywhere to the amazing, super-expensive medicines, there seems to be just the right touch of inventiveness and possible future technology. The whole world of the story is so clever and creative! ...not to mention the love story. I'm probably just as confused as Katniss when it comes to Peeta and Gale. Peeta really seems to have a great heart, but appearances are certainly deceiving in this book. I think it's safe to say that he really does care for Katniss, and his loyalty to her is quite endearing. But I can't help but get snagged on the scene with the girl who started the fire not far from where Katniss was sleeping. While it doesn't seem clear who first attempted to kill the girl, it is suggested that Peeta is the one who finishes her off. It is noted that Peeta joined the group to save Katniss in a round-about way, and he is almost killed by Cato later on when he demonstrates his devotion to her. Yet...if he didn't have a crush on Katniss, would Peeta have joined the group anyway? Or would he have gone solo? And would he have as little remorse for killing Katniss as he seems to have for sharing the responsibility in killing that girl? I'd also like to know if he ever gave a second thought to young Rue in the arena. I could ask "What if?" all day, but I guess I'm just curious about this baker's son who shows such tenderness and care to Katniss, as well as jealousy for her feelings toward Gale. I admire him in some ways, and I think he can be very sweet. But he's a puzzle. While I do really like some of those scenes between Peeta and Katniss, my favorite part of the book is the interaction between Rue and Katniss in the arena. This is the part that really shows that love and beauty remain despite the horrific circumstances. Even though Rue and Katniss are supposed to be enemies, they bond and work together. I suppose a similar argument for Katniss' attachment to Rue in comparison with Peeta's attachment to Katniss can be made, because there's always the question of whether or not Katniss would still care about Rue if Rue didn't remind Katniss of her sister. But there's hope in Rue's innocence, her trust, and her passion for music. That mockingjay pin that Katniss wears is like a symbol of a free spirit that man couldn't destroy - of something beautiful like music coming out of something that was used for evil purposes. The song Katniss sings to Rue...the flowers she surrounds her with in her death...the bread that District 11 gave in gratefulness to Katniss - all of that provides a powerful image. Even the muttations that come in later - probably my least favorite part of the book - couldn't be made of or destroy the souls, only the bodies. 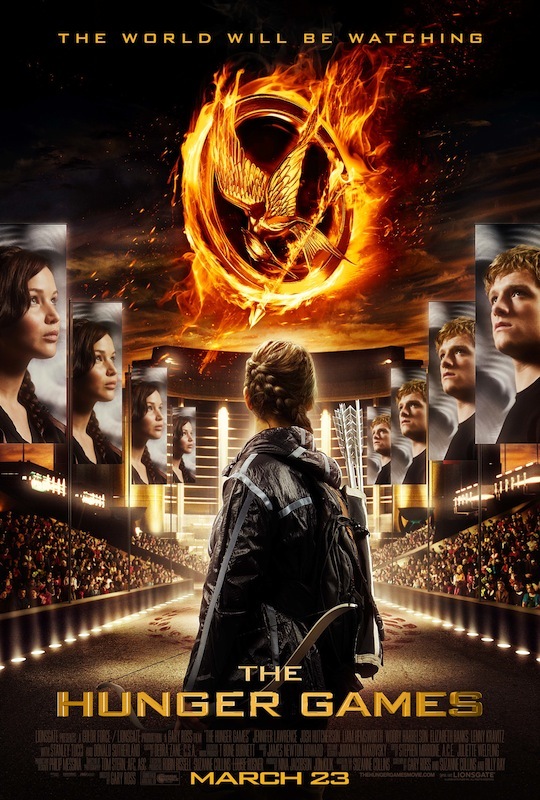 I know The Hunger Games isn't Christian fiction, and I realize that there is more that could be dissected in terms of political and social agendas (perhaps commentary on class divisions or the source of power in a nation). But these are some of the thoughts of a girl who believes that God is more powerful than man and that there is always hope in Him who works for the good of those who love Him. I am deeply thankful that God has not abandoned us, and no matter what the present or the future look like, He will never leave me. 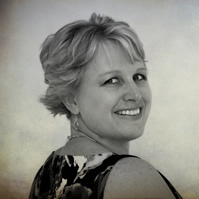 Click HERE to read the book description and learn more about the author! 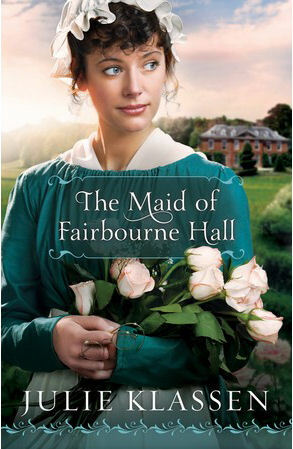 The Maid of Fairbourne Hall is a delight! The story initially plunges the reader into a swift river - and it doesn't take long for the current to change, transforming Miss Margaret Macy into Nora, the maid of Fairbourne Hall. While the pace lessens off and on, the intrigue continues and historical details, as well as some back story, flow expertly throughout the pages. And let's not forget the romance! When the heroine finds herself in the home of a spurned suitor and a would-be love interest, some sparks are inevitable. The love story is great, complete with some wonderful kissing scenes! Twists and turns, secrets and surprises - all add to the romantic tension that builds steadily and ever so sweetly. Mixed in with the clever plot and the enjoyable romance is well-written characterization. Margaret learns a lot during her tenure of service, and her growth is quite visible and realistically rendered. Her character really blossoms, and it's beautiful to see her embrace her work and come to understand and truly serve others. The whole book is beautiful! The last thing Libby Sawyer and her father expected upon their return from their summer home was to find strangers inhabiting a house that had been in their family for decades. Widower Michael Dobrescu brought his family from Romania to the town of Colden, Massachusetts with a singular purpose: to claim the house willed to him long ago. Since neither party has any intention of giving up their claim, a fierce legal battle ensues between the two families. When important documents go missing from the house, Libby suspects Michael is the culprit. Determined to discover the truth behind the stolen papers, Libby investigates, only to find more layers of mystery surrounding Michael and his family. Despite their rivalry, Libby finds herself developing feelings for this man with the mysterious past. As a decision about the house looms in the courts, Libby must weigh the risks of choosing to remain loyal to her family or give her heart to a man whose intentions and affections are less than certain. If you would like to read the first chapter of The Rose of Winslow Street, go HERE. From the synopsis, The Rose of Winslow Street sounds like a story about a pushy man who claims ownership of a house belonging to a rich girl, leading to a battle in court and then happily ever after. But while that may describe some of the bare bones of the book, from the very get-go the plot is much more complex and extraordinary than that! Michael Dobrescu takes family very seriously, and he'll do anything to provide for his own. But when the path to protecting his family takes him to the house on Winslow Street, it cuts off the professor who labored for years to improve the house - as well as the professor's big-hearted daughter. Emotions run high, secrets run deep, and tension - romantic and otherwise - simmers just below the surface in this well-written, engaging, and very unique historical romance with Romanian flair. 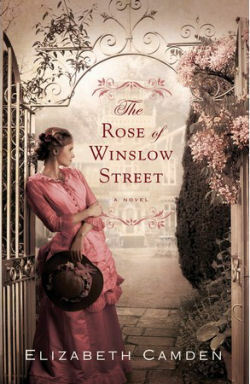 Camden caught my attention with her debut, The Lady of Bolton Hill, but she captured my imagination with The Rose of Winslow Street. 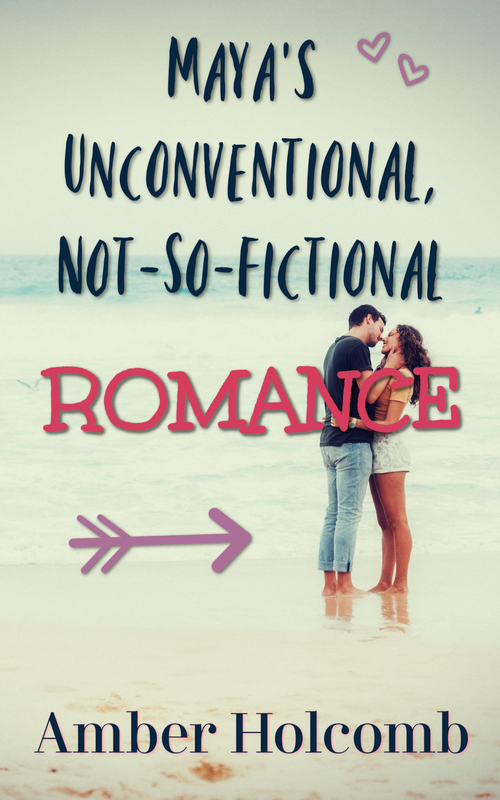 Full of resiliency, rejuvenation, and roses, this book has it all - including a difficult-to-top, romantic gift and that happily ever after previously mentioned. Stunning! Doesn't the synopsis of the book make you wonder how a lady in 1815 London ends up working as a housemaid in the home of a former suitor and a passing love interest? As I write this, I'm only about 1/4 of the way through the book, but already I'm awed at how Klassen has made this story twist and turn in such a way as to turn Margaret's position on it's head! Engaging and intriguing, so far The Maid of Fairbourne Hall has the makings of a great story! I'm eager to read more - so be looking for my full review to come soon!